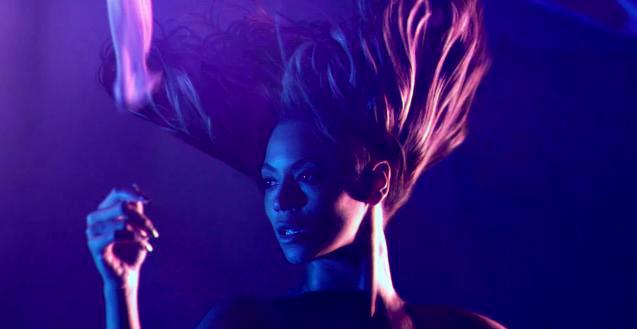 Have you seen Beyonce’s newest music video for her 3rd single “1 + 1”? The video looks simple with all those beauty shots and black background with colored beauty lights. But i love it because it was done in a very creative way. I mean no flashy costumes, props, and effects, and yet they were able to come up with a very beautiful video. Looking at the scenes, I felt like i am watching shoots from America’s Next Top Model. It looks Gemini to me. I love the floating cloth and the lighting. B looks bare on this one. Stunning! The close-up shot of Beyonce’s eyes. Very mysterious glare, and lighting really added much to the drama. And the flying hair frame. She’s actually holding a cloth on this one. The cloth was being blown upward with her hair. I think Beyonce’s hair has some soul. It actually acts and move with her. Amazing!